Essence is a brand that has me extremely curious for the longest time. I have read countless beauty blogs that offered rave reviews on the brand and from what I gathered, the price point is much lower than NYX. It got me wondering if that is even possible? Can anything that cheap be that good? 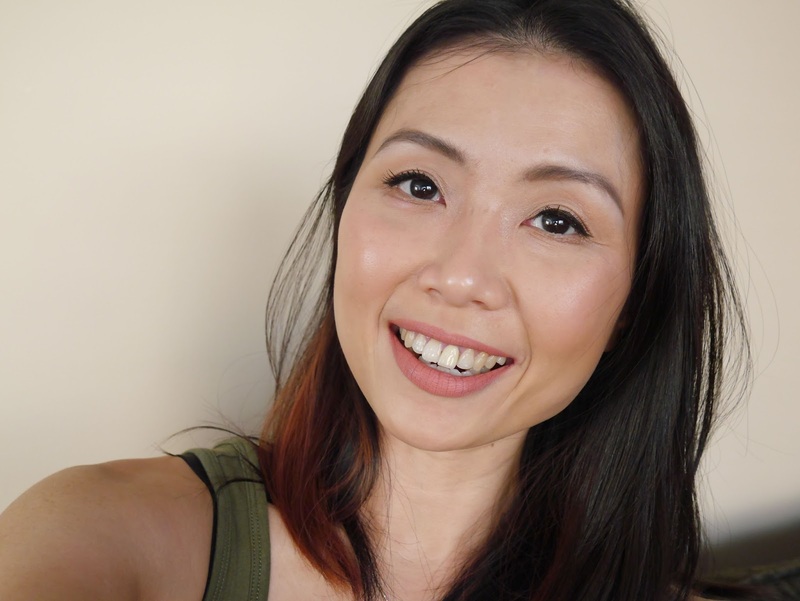 I received these 2 lipsticks in my beauty swap with Amy (read here) and I was so happy to finally get the chance to try it. I did recently noticed Essence is available here in Shoppers, no idea why I didn't noticed it earlier but nevertheless, let's talk about this babies. And oh yes, they are good. I do apologize about my skin looking a little wonky, I was too stubborn/stupid and decided to try out Chanel Perfection Lumiere Velvet sample that I got...even though the SA has repeatedly warned me that it is NOT flattering on dry skin. Don't you bloody hate it when someone else is right?! It is not flattering at all. It clung for dear life on every single little dry spot that I have. It highlighted every single thing that I desperately trying to hide. Stay away if you've dry skin like me, ugh! First of all, I will get the negatives out of the way, the packaging is cheap. Looks cheap, feels cheap and it's nothing to smile about. A matte black plastic with a ring in the middle that shows the lipstick shade. It's not the most attractive packaging but it is what it is. It works and I guess that is all that matters. Next is the scent, it smells like melted plastic. However, the scent is not intrusive and you won't notice it unless you stick your nose extremely close to the lipstick. I did because I was curious and for this review. Oh, the sacrifice that I am willing to make....cry me a river, I know. Now let's get to the good. These lipsticks are brilliant, I personally think they are better than some of my Maybelline and Revlon lipsticks. Both are creamy, moisturizing without any bleeding and the best part? They are very pigmented. While the packaging looks and feels cheap, the lipstick itself feels as good as a high end product. I have a couple of MAC lipsticks that applies a little wonky and streaky on me but these applies perfectly. Both have satin finish but has incredible wear time. It really did last a long time on me even with eating and drinking, very impressive. Wear Berries! is a soft pink with purple undertone on me. I have to admit when I first saw the lipstick, my heart sank a little. I was convinced that it would be too pale for my medium skin tone and would make me look washed out. As soon as I applied it, I instantly knew it was the perfect day time lipstick for me. And I have been wearing this almost everyday since I received it which is saying a lot for a lipstick hoarder like me. Dare to Wear is a red with blue undertone and yes, it makes my teeth looks a little whiter. No complains from me who as an ex-smoker does need all the teeth whitening assistance that I can get. I can easily wear this with cat flick eye liner and loads of mascara during day time and of course, it is the perfect shade for night too. These lipsticks are brilliant, I kid you not. If you see them, BUY THEM and I promise you that you won't regret it. And this mama will be picking up every shade that she can get her hands on soon. Have you tried Essence lipsticks? Do you like them and what's your favourite shade? Have a lovely weekend, luvs and stay naughty! Please allow me to pimp my giveaway again...remember to enter my Smashbox Full Exposure Giveaway! To enter click here!